Oxford at Country Club Apartments in Baytown, Texas where superior quality and a comfortable lifestyle meet. Our fantastic location is in close proximity to major employers and a variety of shopping, entertainment, dining and recreation. At Oxford at Country Club Apartments, you will have all the comforts and convenience you deserve. Enjoy location and luxury with contemporary apartment home interiors including high-end ;features such as our nine-foot ceilings, handsome wood-grain like flooring, stylish crown molding, granite countertops and designer cabinets. Rejuvenate in the resort-style swimming pool with tropical water feature, engage with friends and neighbors in our expansive clubroom and energize in a state-of-the-art fitness center. Call and book an appointment with one of our leasing specialists today! Comfort, style and convenience are awaiting you at Oxford at Country Club Apartments in Baytown, Texas. Nestled away on W Baker Road, Oxford at Country Club Apartments offers its residents everything they could possibly want out of location. Centrally located in the heart of Baytown, Texas, our community features close proximity to the Texas 146, Texas 330 Spur, and Interstate 10. For outdoor enthusiasts, Oxford at Country Club Apartments lives up to its name in that we are surrounded by greenbelt. Enjoy a sunny afternoon at West Fork of Goose Creek Park, Eddie Huron Park, or Baytown Soccer Park. Prefer indoor activities? Foodies will marvel at the selection of cuisine that can be found. Savor every type of dish imaginable. Shopping has also never been easier with a Walmart Supercenter, Target, Old Navy and much more within minutes. 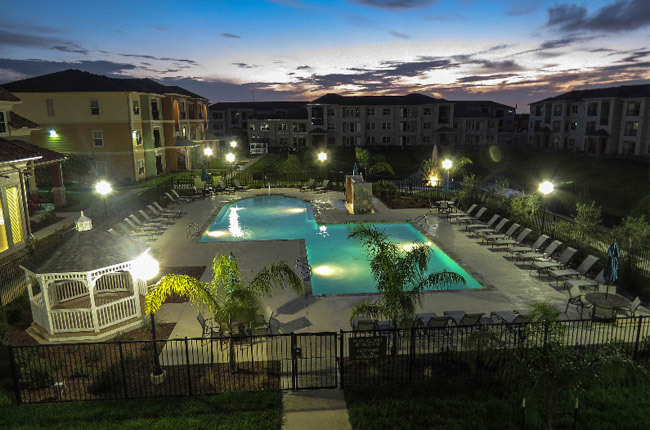 Come see for yourself all that our location has to offer you at Oxford at Country Club Apartments.